Everyone was delighted to meet their four-legged companion Dogmeat in the wastelands. 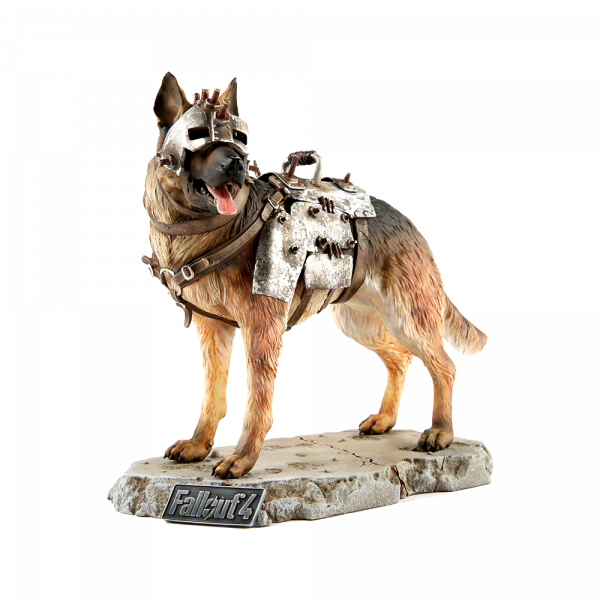 Dogmeat brings his full set of armor and has a second head without armor so you can enjoy his trusty doggy eyes. The limited statue is approx. 9.5" long and 7" tall. Manufactured by Chronicle Collectibles.